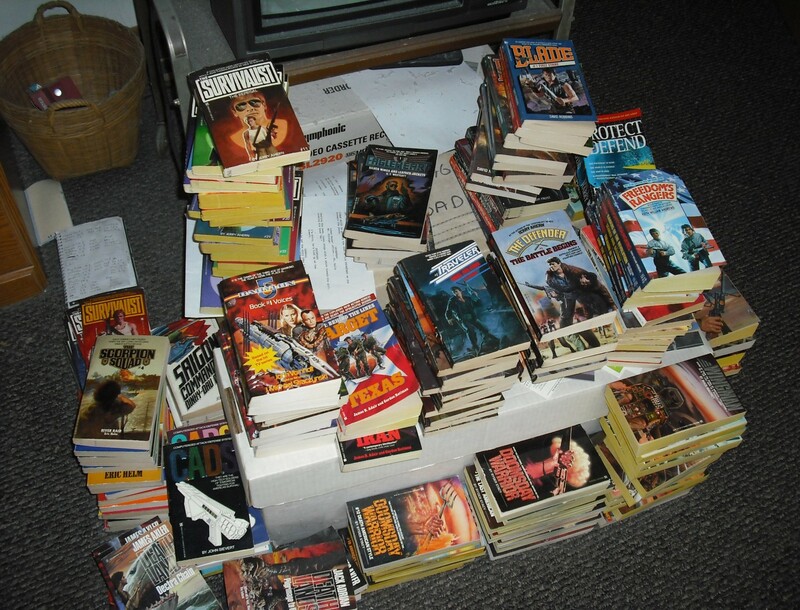 June 2017 – THE BOOKS THAT TIME FORGOT. The Federated States of Europe have been invaded. A Turkish general has united the Muslims and launched a jihad against Europe. Naming himself Iskander Bey which is Arabic for Alexander the Great his hordes are pouring in from the Balkans to Spain. This development has presented a golden opportunity to drive the FSE from California. Over ten thousand troops have an iron grip on the state. So the Guardians are sent to California to organize resistance. The plan is to make it so difficult to the Effsees that Chairman Maximov will withdraw them to fight the invaders. The Guardians then start organizing a guerrilla campaign using the various factions. Some of them were former enemies when they fought former Lt. Governor Van Damm. Eventually the campaign succeeds as the Effsees pull out and start to withdraw. Now some of their former allies turn on them. The eco-terrorists Sons of Hayduke betray the location of where Blueprint personal are hidden including Dr. Morgenstern. Now the Guardians must mount a rescue mission. First they have to fight through FSE supported pirates in a makeshift flotilla. Then ambush an well armed column as it makes its way to San Diego. So the author was a bit ahead of his time in foreseeing the rise of the Caliphate. The stories set in California are some of the best in the series. The state just seems perfect with its mix of rightwing/leftwing groups along with the other nutjobs. They have to organize the “indiges” indigenous forces into a coherent fighting force. Green Beret Tom Rogers is an expert at this in the various shadow wars fought in the third world. Now its Americans as the indiges and it seems America has been reduced to the third world. There was a lot of action in this book which makes it great. So another Rifftrax Live and this one was a series of shorts. In addition to Mike, Kevin and Bill the old gang from MST3K was also there. The first done by Mike, Kevin and Bill was one of those old safety films from the seventies. Ricky the Raccoon a guy in a raccoon suit who magically appears as their parents are buying a new house. Nobody seems concerned in the least that a creepy guy in a raccoon suit appears out of thin air. Of course the real estate agent won’t make a big deal about it since he’s interested in making a sale. Anyway the raccoon proceeds to teach the real dumb kid basic safety tips that his parents were apparently too busy to teach themselves. The dumb kid annoys Ricky to no end by insisting he’s a bear. You have to love those wacky anthropomorphic animals that appear the teach the stupid basic things. Here is a funny take from two rednecks. So we move on to Office Etiquette which was done in the fifties. A woman gets a lowly clerical job all on the recommendation of some old bat that teaches typing. She tows the line and makes it to personal manager. Wow it is depressing to work in an office back then just as much as it is now. Some things don’t really change. It had some good riffs here and there. A little too much social justice commentary. Then we get the 300th shorts riff the guys have done. This one is Rhythmic Ball Skills. Basically they make young kids do goofy things with a rubber ball. Supposed to be exercise but looks goofy as hell. Then Mary Jo and Bridget do the Griper. Basically some complainer who does nothing but grip and ruins everything for everyone. Some reason the message seems that those that grip will just ruin it for everyone. Move on to Sentinels of Safety. A short that shows all the bad things that can happen to you in the 1940’s if your not careful. So we watch people step on nails, fall down the stairs, slip on the floor and blow themselves up by washing their clothes in gasoline. Amazing our grandparents survived. A Touch of Magic was some General Motors promotional to sell their new 1961 line. A husband and wife host their invisible friends who have the new cars. Very strange. Finally it brings us to The Baggs. Santa Claus spends his summers driving around L.A. in an old pickup picking up junk. He steals some old burlap bags that come to life and chases them all over. Definitely they saved the weirdest for last. Well it was a fun night. The jokes were funny and the shorts were really offbeat. So next up in August The Five Doctors. The Guardians have now set up the President safely in Washington. They can now focus on recovering the Blueprint. After a brief adventure in transporting the Blueprint personal from Iowa and fighting off a horde of road gypsies they get word of a major discovery. The Federated States of Europe has found the location of a secret installation in Louisiana. Code named Project Starshine it is the prototype of a fusion reactor. Cheap unlimited power and Chairman Maximov wants it. 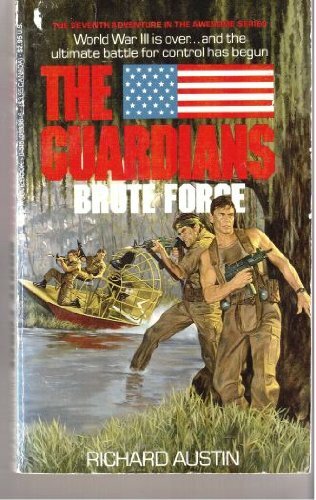 So the Guardians head out for the swamps of southern Louisiana. The Effsees are also there landing a battalion of turncoat American troops. Now the Guardians have to organize the various swamp rats and Cajuns in the area to resist this invasion. In addition there are a group of KKK that call themselves the Regulators that are terrifying the local population. A renegade Cuban cruiser is also in the area with a captain who has delusions of grandeur in carving out his own empire. If that’s not enough there is an actual UFO that is flying around and attacking with its laser. It all comes to a head with a large hurricane. This book was a real fun one. There was plenty of action in this story. I loved how the various plot thread were handled neatly and came together. Project Starshine is a very important piece to the Blueprint puzzle. An interesting fact after the apocalypse. Pre-1965 dimes and quarters are valuable because they were made out of silver. They actually will cut them in two and give back a half in change. So stock those coins for the apocalypse. The Guardians have arrived back at the White House. Now they are besieged by a horde of people out to kill them. Its looking like a bad idea to come to Washington. Then a man comes with an offer to meet the head of the faction that controls the area. Soong is a former special forces operative and secret service agent. He and his Tide Camp control the area and he has been preserving the White House for the eventual return of the President. Now the Guardians have allies but they have some concerns about their new allies. While Soong appears normal his men are a bit into the warrior culture by dressing up in paint and feathers. His second in command Andy Aramyan has a very volatile personality and rubs Billy McKay the wrong way. So now the Guardians have to unite the various warring factions in the rubble into an alliance. They have enemies. Malcolm Jabbar and his New Nation of Islam Inc. Seth Ruston and his American Union. The man pulling the strings is Maximov’s golden boy former KGB agent Ivan Vesensky. Vesensky in the guise of the Witch King is uniting the crazies in his own alliance. 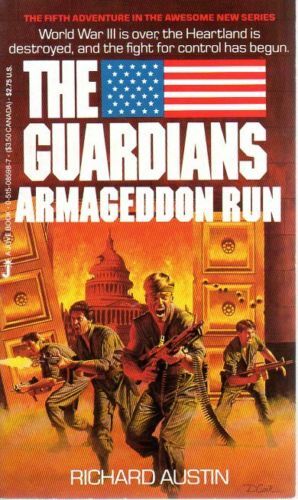 So now the Guardians in this book are working to secure Washington. Since the war the city is basically divided by various gangs and factions. Such gangs as the Nuclear Winners, The Bloods, The Rebel Runners and the Super Machos compete with the others for control of territory. This was an interesting idea in having the Guardians have to form an alliance out of all the crazies. But they succeed and now have Washington as a safe base to continue the recovery of the Blueprint for Renewal. Vesensky is starting to be the main antagonist for the Guardians in this series. At the end he survived so we are sure the see more of him. He is a worthy opponent for the Guardians. The Guardians have successfully rescued President MacGregor and destroyed the Heartland complex. Now they are on their own in a hostile country hunted by the occupying Effsees. The main priority is finding a safe place for the President to reestablish the government. 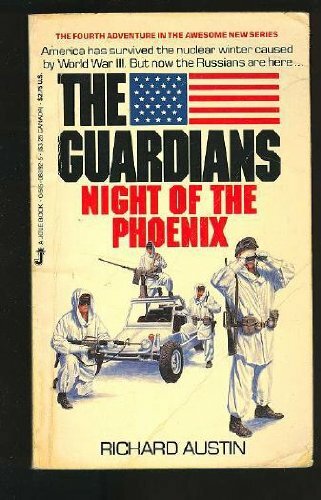 They find sanctuary at the town of Luxor which they had helped liberate from a renegade unit of the National Guard. The first logical choice is nearby Kansas City. The city has come through the war reasonably intact. Is centrally located and has a functioning city government. After contacting mayor Dexter White who seems agreeable to hosting the President they set out for Kansas City. After they get there thought things don’t work out. Mayor White is a member of the Internationalist Council and loyal supporter of Chairman Maximov. He betrays them to the Effsees and the group must fight their way out of the city. Later they check out the Federal Center in Denver and that’s occupied by the Church of the New Dispensation. California is also out because of the heavy Effsee presence. Thus the only place open is Washington D.C. They manage to get a C-130 to transport them. They manage to survive an attack by an FSE F-15 and make their way through a shattered city to the abandoned White House. So now the Guardians are on their own. They successfully destroyed their former sanctuary of Heartland and prevented Maximov from getting his hands on the Blueprint for Renewal. So this book focuses on finding a new base of operations. Washington is a risky choice. The city was hit by several nukes and is now controlled by warring gangs. Indeed they have to fight their way to the White House. 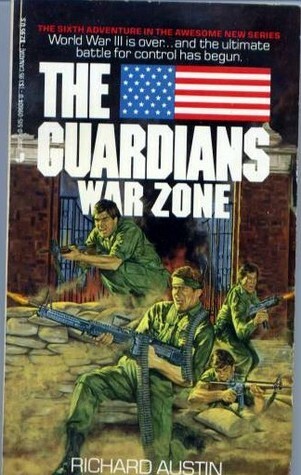 The Guardians come full circle with this book. They started out fleeing mobs that attacked the White House. Now they are fighting mobs as they come back to the White House. This was another excellent entry in the series. It sets up for the next book which will deal with securing Washington. Things are going smoothly for the Guardians. With the info from Dr. Morgenstern the team is finding personnel right and left. Its becoming routine. While in north Texas picking up another specialist they find that they can’t reach Heartland on the radio. They then intercept a radio broadcast. It is President William Lowell who was thought dead during the One-Day War. He has returned and with the help of the Federated States of Europe assumed power. President MacGregor has been arrested. Soon after the Guardians are ambushed and they lose Mobile One. Casey is seriously wounded. Now the Guardians are fugitives from the FSE. Soon they start to form a resistance as the excesses of the invading Effsees become apparent to the American people. Then they are approached by the creator of the Guardian project Major Crenna. He has a plan to get into the underground complex in Iowa. They have to act soon because President MacGregor is scheduled to be executed. More important thought is they have cracked the code on the computers and soon Chairman Maximov will have the Blueprint for Renewal. So the fourth book Victor Milan decided to shake things up. 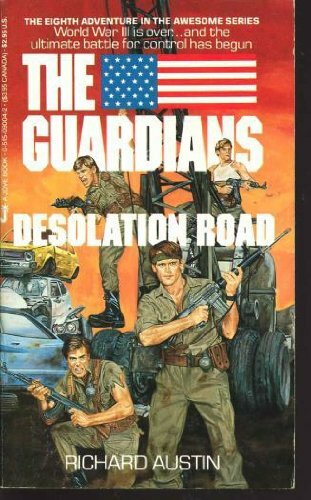 Indeed the series was in danger of becoming a routine adventure where the Guardians leave their safe underground base and have a standard adventure. Now the Guardians are without that safe base. They lose their armored car and are hunted fugitives. So at the end they manage to set off the self-destruct that blows up Heartland. They prevent Maximov from gaining the Blueprint and kill the traitorous President Lowell who sold the country out. At the end they find an exact duplicate of Mobile One that they lost so they have their armored car back but otherwise are alone in a hostile environment. I really love this series.